I started the week here with a rant about the state of the economy. Then I moved on to a review of a blues album. And now, I close the week with superheroes. How did that happen? Well, it doesn’t seem that far fetched to me. These are indeed hard times, the kinds of times when people sing the blues, and also the kinds of times when people look for a hero. We want someone to don a mask and cape, vanquish the villains, and make everything alright again. In November of 2008, Obama seemed to be that hero. But in real life, things are much messier than that. It is the villains who have secret identities, and going after the wrong one can sometimes make things worse. And, again in real life, punishing the villains does not make everything right again. So Obama cannot be our superhero, and his poll numbers are a consequence of this, as much as anything else. Still, it’s nice to dream of a costumed savior when things are rough. These heroes must also maintain dual identities, fooling the people closest to them so that they can save the world. This makes superheroes a rich subject for songwriters. This post must begin with Spiderman. Spidey was the first superhero I adopted, when I inherited my oldest brother’s comic book collection. Peter Parker always had a messy personal life, but he would put on that costume and his personal problems would go away, and he would be out there making a difference. Of all the superhero TV shows of my youth, Spiderman, with that great Ralph Bakshi animation, was truest to the original comic book. The theme song was good corny fun. Alison Browne removes much of the corn by rendering this one as an instrumental. What remains becomes a wonderful showcase for her jazz banjo playing. Superman was another matter. 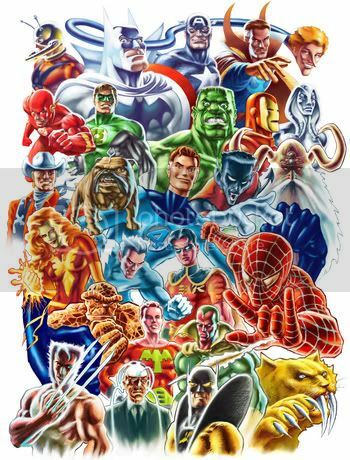 He was the first superhero in 1938, and his was the formula, with all others being the variations. Superman was perfect, while Clark Kent was his creation, and his comic relief. But Crash Test Dummies find something fresh in this relationship. In their telling, Superman needs a secret identity so he can find a job. After all, saving the world doesn’t pay very well. So Superman becomes the burdened reality, and Clark Kent is the escapist fantasy. I also have the studio version of this song, but I have chosen a live version from Mountain Stage. Fewer people have heard this version, and it is wonderful. So what happens when an ordinary human becomes involved with a superhero? XTC, always interested in the everyman, takes up this question in That’s Really Super, Supergirl. It turns out that the reality doesn’t match the fantasy at all. Supergirl doesn’t have to start seeing someone else; she’s always spending more time battling villains than she is with her significant other, and the relationship is doomed from the start. The Incredible Hulk has always been an interesting case. To use his powers, he must lose all sense of self. Therefore, he is, in a sense, not responsible for his actions when he uses his powers. That can seem very tempting to an observer, but our narrator here ultimately can not let go enough to do what the Hulk does. The Brunettes are a band from New Zeeland that I had never heard of before. I am impressed with the songwriting here. I would like to present more African music here, but the language barrier limits the accessibility of the music. 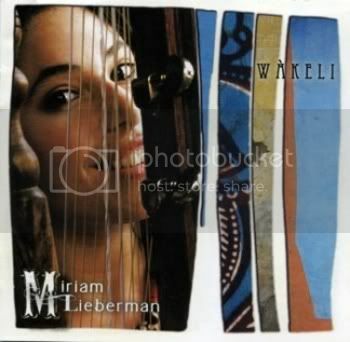 Miriam Lieberman’s music may not be completely authentic, but she understands the rhythmic drive of this music, and she sings mostly in English. Her lyrics are written in English on most songs, but the words remind me very much of the translations I have seen of African songs. And she uses traditional instruments. Refugee opens with the sound of the kora, or African harp, and the balaphon, or wood xylophone, is also featured prominently. Best of all, Lieberman understands the beauty of this music, and brings it to her work.